Mariachi Buenaventura plays at the Santa Fe Traditional Music Festival. Good news for fans of traditional music! 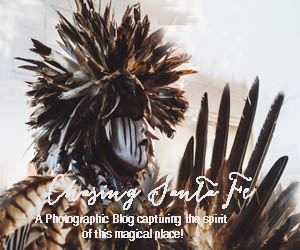 The Santa Fe Friends of Traditional Music have revived the Santa Fe Traditional Music Festival, which was held at Camp Stoney last August and will be held there again from August 24 through 26. The Santa Fe Traditional Music Festival provides a venue for playing, hearing, teaching and sharing music with musicians and with anyone who loves traditional music. The Santa Fe Traditional Music Festival actually began in 1974 as the Santa Fe Banjo and Fiddle Contest. The Southwest Pickers eventually took control of the festival and moved it out of Santa Fe in 2016. 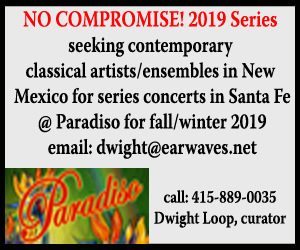 Last year, the newly-formed Santa Fe Friends of Traditional Music took over direction of the festival and moved it back to Santa Fe. Performing during the weekend are a number of groups from New Mexico and Colorado. Bayou Seco, which received the Governor’s Award for Excellence in the Arts for 2017, plays all kinds of traditional music, including old-time, Southwestern, Cajun two-step, waltzes, polkas and ranchera. .
Also playing a variety of music are the Adobe Brothers, who enjoy old-time fiddle music, bluegrass, folk music, Western Swing, Celtic, blues and contra dance music. To hear Irish music, check out Púca, the only musicians at the festival from Arizona, who play Irish, Appalachian and contra dance music. Mariachi Buenaventura, Santa Fe’s first all-female mariachi band, presents traditional songs and some contemporary pieces. In addition to performances, the festival includes hosted jam sessions and workshops focusing on the bluegrass banjo, guitar and fiddle. Expect to find informal jam sessions taking place around the grounds throughout the weekend. For a complete schedule, prices, information about free tent and RV camping and directions to Camp Stoney, visit sftradmusic.org.